Campus leaders are studying data in numerous ways to reveal, for example, the secrets for student success and enhanced experience at their institutions. Such analysis is becoming the basis for benchmarking initiatives that allow for peer-to-peer comparisons. Few people in higher education know their costs at the course level, insists Maria A. Anguiano, vice chancellor, office of planning and budget, University of California, Riverside. She’s hoping to change that at UCR with the use of software that allows the integration of various data systems, including human resource, core, financial, and asset management. Anguiano estimates the data will be rolled out to academic leaders in the winter and spring quarters. Only the central office currently has access to the stockpile of information. A good example of this type of work is the Looking Under the Hood Institutional Aid Metrics project, conducted by NACUBO and the Association of Governing Boards of Universities and Colleges. The joint study, which gathered data on recent aid allocation trends, by institution type and other characteristics, resulted in a Web-based tool that allows colleges and universities to compare their aid allocation and distribution practices with national averages and peer group results. The goal, similar to that of UCR’s initiative: to provide tools that lead to more effective decision making. One of the five priorities of NACUBO’s new strategic plan (see sidebar, “Data Analytics Is a NACUBO Strategic Priority”) is to lead higher education’s integration of analytics to achieve institutions’ strategic goals. That includes facilitating enhanced quality, reliability, and consistency of data to improve comparability across higher education, which actually starts at the individual institution level with work such as that being done at UCR. Right now, having insufficient data could be resulting in suboptimal choices, she says, citing the commonly held belief that institutions can’t afford to enroll more students as biology majors—or other STEM majors—because their education costs so much more than other majors. However, when looking at the overall cost of these majors, Anguiano indicates that the assumption is not necessarily true. According to Anguiano, cost is just one factor in understanding programming. After analyzing the full cost—and quality—of classes, some deans and departments may decide that they need to invest more in a particular class. Many institutions charge one tuition amount to all students, yet offer a multitude of programs. Thus, by definition, some courses are subsidizing others. This is fine, she says, as long as there is transparency. Another institution that is exploring activity-based costing, thanks to a $300,000 grant from the Bill & Melinda Gates Foundation, is Johnson County Community College in Overland Park, Kan. “We have begun the journey of using an activity-based costing tool,” says Barbara A. Larson, executive vice president, finance and administrative services. “We have run one year of data through this tool, which enables us to take information from disparate data systems, such as Banner, as well as facilities and human resources data and student data, and to really look at costs in a more comprehensive way,” she says. Previously, academic departments could see only actual costs that came straight out of the general ledger and not the overhead, space, and the cost of administrative areas that support them. “Activity-based costing will allow us to allocate resources to those activities that are going to have the greatest benefit for our students’ success,” Larson says. The data from an institution’s enterprise resource planning (ERP) system provide hard numbers on how much, for instance, an institution pays for faculty salaries, utilities, or custodial services, she says, but it doesn’t generally combine those statistics in a meaningful way. She hopes that the data will eventually encourage in-depth conversations about the facilities required to teach various classes. “We need to really look at facilities in a different way in terms of how classes are scheduled and to be as accountable as possible with the dollars we are given by taxpayers and students,” Larson says. Improving the student experience through the use of analytics is also a priority at Rutgers University, The State University of New Jersey. “One of our president’s goals is to improve the student experience by having students spend less time on a bus schlepping around our campuses,” says Michael Gower, executive vice president for finance and administration, Rutgers, New Brunswick, N.J.
For example, the institution recently analyzed where students start their days and where they go to classes, creating a scatter map of the entire campus, with all of the lines based on the students’ class schedules. “It was extraordinary to see and to be able to answer questions, such as ‘How often did they have to get on a bus per day? Were they going from one campus to another? What was the path?’ All this comes back to the need for analytics and the utilization of space,” Gower says. Build alignments between information technology and institutional research or other analytical units, says Joel Hartman, vice president for information, technologies, and resources, and chief information officer, University of Central Florida, Orlando. Help everyone understand that analytics is part of their jobs. “There are folks who are hungry, receptive, and naturally curious, and need data to do their jobs, such as admissions,” says Keith W. McIntosh, vice president and chief information officer, University of Richmond, Va. “Others are slower to come to the table. They don’t have that sense of curiosity and may not know about or understand analytics. Consider data an asset. “To use your institution’s data effectively, even at the level of day-to-day transactions, let alone for analysis, you need to think about it as a holistic resource and asset,” Hartman emphasizes. “The major sources of data are our business systems, which are set up primarily to be transaction systems. Make routine reports easy to access. 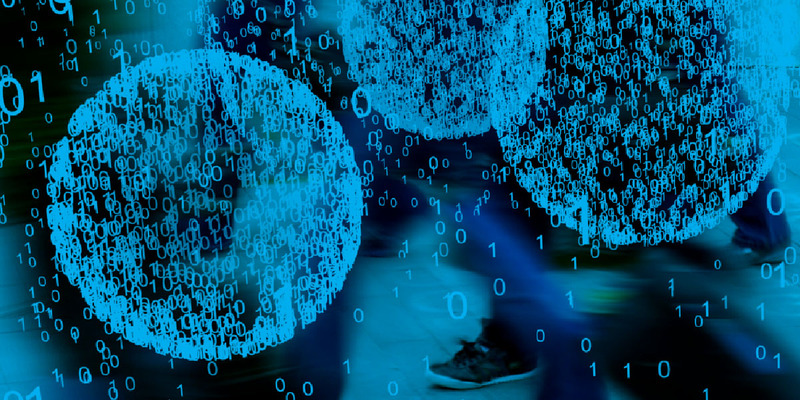 While big data products may contain the secrets of the universe, obtaining those secrets from the morass of information contained in them can be a challenge. Through the years, the University of Central Florida has built a series of data marts that provide commonly needed data in a format that integrates with desktop tools to meet the routine reporting, inquiry, and monitoring needs of colleges and departments. Through data marts, staff at colleges and departments insert variables, and run reports on their data, such as HR, finance, and student data. According to Hartman, the data from the ERP system is accurate up to the second, while information from the data mart is based on the previous night. “The data warehouse is certified census-based data as we use it for periodic reporting and analysis,” he says. “We also bring in data from other sources as needed to do more complex analyses, comparisons, and benchmarks. Gower is encouraging NACUBO to include in a future strategic plan a data dictionary or mechanisms that would promote commonality among institutions. Be transparent. “You have to be transparent about the data you are collecting and why you are collecting it, because there can be fear and concern by the constituent group being analyzed,” McIntosh says. He suggests a phrase such as, “We’re just trying to do what’s best for the institution by maximizing our efficiency and delivering outcomes that are better for our students,” is a good place to start. Cost is just one factor in understanding programming. After analyzing the full cost—and quality—of classes, some deans and departments may decide that they need to invest more in a particular class. While big data products may contain the secrets of the universe, obtaining those secrets from the morass of information contained in them can be a challenge. Build alignments between information technology and institutional research or other analytical units. Help everyone understand that analytics is part of their jobs. Make routine reports easy to access. NACUBO’s new strategic plan, which the organization adopted earlier this year, incorporates three strategic competencies—knowledge creation and sharing, collaboration, and advocacy. The competencies establish a blueprint for NACUBO that will guide the development of tools, education, and expertise for member institutions as they support and advance the mission of higher education on their respective campuses. The plan has five strategic priorities that list overarching initiatives developed to ensure that NACUBO is effectively and proactively working to uphold its vision and meet the needs of member institutions, with success indicators to help measure performance. One of the five strategic priorities is for NACUBO to lead higher education’s integration of analytics to achieve institutional strategic goals. NACUBO, in collaboration with key association and business partners, has disseminated a comprehensive body of knowledge, foundational concepts, and best practices methodologies for effective analytics in higher education. Institutions have increasingly adopted NACUBO’s frameworks and definitions to enhance the quality, reliability, and consistency of data and to improve comparability across higher education. Institutional leadership teams use NACUBO’s model organizational and governance structures to improve data management and analytics operations and to foster a culture in which they are trusted resources in the institutional decision-making process. For more information on the strategic plan, click on “Strategic Blueprint” under the “About NACUBO” tab at www.nacubo.org. Participate in a roundtable on data analytics with your colleagues at the NACUBO 2017 Annual Meeting on Tuesday, August 1, at 9 a.m. For more information, visit www.nacuboannualmeeting.org.